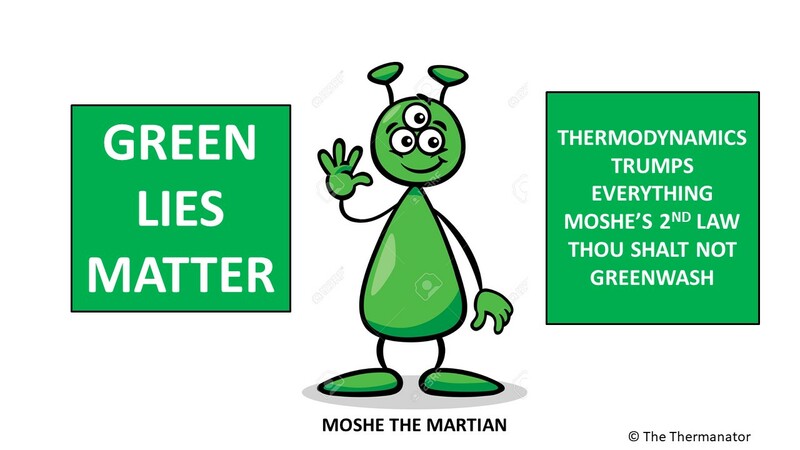 This is a strange question for the Green Machine to ask. I really think both behemoth companies offer fantastic combined cycle natural gas power generation facilities. The question relates to a small niche market of capturing waste carbon monoxide (CO) from steel mills. Siemens has partnered with LanzaTech (who I have opined greenwash) to use this very same waste stream to produce ethanol via a biological reaction. Jim Lane who runs a pretty mediocre (thermodynamically speaking) web site has added fuel to this fire. I was in contact with Siemens and do have emails from the company. As Jim Lane published his article I now have to provide my comments to the comments that Siemens and LanzaTech have given to Jim Lane and that he has published. Note most of these comments were also given to me by Siemens. I have never had any direct discussion with LanzaTech. Here is the content of an email I sent to Norbert Aschenbrenner at Siemens that was sent to him yesterday. Siemens comments are followed by my comments in italics. The fact that many of these industrial facilities could be making electricity with steam cogeneration now, but are not, tells the story. The question then, with respect to steel mill waste gas, is what provides the highest marginal value, financially/environmentally/socially. Customers and partners have invested in LanzaTech because they realize these three vectors (economics/environment/social good) are aligned in the LanzaTech process, where ethanol production provides a higher IRR, lower CO2 emissions, and lower SOx/NOx/particulate emissions when compared to electricity production. Norbert looking at this response it already is apparent that the link I referred to that started the conversation has incorrect information. This is the concern I expressed to you that this statement is incorrect. I will elaborate further on that this statement is incorrect and should be rectified. They also realize that ethanol is just one of many chemicals that LanzaTech can produce, which can be used both as chemical intermediates and fuels. When the products of gas fermentation are used as chemical intermediates (rather than fuels) the LanzaTech process offers an opportunity to sequester waste carbon in the form of durable products, produced from high-value chemicals that create even higher returns from these gas streams. Yes CO and if there is some hydrogen, although there is not much in a Chinese steel mill, could produce durable chemicals that hold carbon. In fact I have proposed that steel mills be combined with chemical plants that produce polycarbonate or isocyanates (PMDI) as these chemicals use CO as a feedstock. Of course it would be by a traditional chemical catalysis routes and not by expensive biological routes that the Polycarbonate or the PMDI is made. Yes steel mills can create value from their CO. Transforming energy from one form into another always results in a net loss of energy, by the 2nd law of thermodynamics. But the reason we transform the energy is to convert it into a form that has a higher value for society, in a more useable form, for reduced pollution, etc., at the expense of a loss of available energy. There are many ways to use petroleum for example: upgrade crude oil into gasoline, produce chemicals, run it through a combustion turbine to make electricity, etc. But there is a reason the refining industry exists; liquid fuels are needed. Yes society does need liquid fuels but we are trying to lower the overall carbon emissions and the CO from the steel mill could be used for a higher purpose than ethanol that winds up in an internal combustion engine that is at best 20% efficient. The whole driver behind this “green” technology is the deployment of Capital to make something out of the CO that is supposedly green and not wasteful. OK the LanzaTech bugs can tolerate temps that only need cooling tower cooling. Still means 27% of the energy is lost to heating the broth. Still means the process has a water footprint. My rough guess is 4 to 5 gallons of water for each gallon of ethanol (some water for the hydrogen and the rest from evaporative cooling). The bugs do not take the ethanol beyond the azeatrope with water and as you admit there is energy to purify. It is also worth noting that not all energy is created equal. When LanzaTech integrates into an industrial site, we use low-value waste heat for distillation that cannot be practically used for anything else, and therefore the energy required for distillation drops to 0-5%. Finally, we note that the relative value of the ethanol as a product is enhanced by logistical advantages. China and India are experiencing rapid growth in liquid fuel demand. LanzaTech ethanol can be transported to these markets or globally, but the infrastructure is not in place to sell and distribute electricity from their industrial sites. The steel mills in China and India do generate power so I am not sure why GE can do it and Siemens cannot. Perhaps Siemens should investigate what GE is doing? 3rd party certification has shown that LanzaTech reduces CO2 emissions using actual performance data. Ethanol produced from a steel mill waste gases through LanzaTech’s process reduces CO2 emissions 50-70% compared to conventional petroleum. At the same time, the CO2 footprint of conventional fuels is getting worse with increasing unconventional fuels coming online, while the CO2 footprint of electricity production is dropping with an increasing amount of renewable electricity coming online. These trends increase further the CO2 benefits of ethanol production over electricity production from waste gases. Yes I do agree that 73% of the energy in the CO is in the ethanol and perhaps in the best case the process is 50% to 60% overall thermally efficient. I do not have enough data to opine on the CO2 savings versus conventional gasoline and I would have to review the third party calculations in detail to render an opinion. As a consequence of the 2nd law of thermodynamics, when using CO as a feedstock, the fermenters release some CO2 (similar to sugar fermentation). Here it is not possible to make a more reduced product like fuels, without also generating a more oxidized product like CO2. There is net CO2 reduction however, when compared to business as usual, flaring or venting these gases, especially when producing a chemical which sequesters this carbon. Further, as we react increasing amounts of H2 in the process (found in other industrial waste gases, MSW or biomass) LanzaTech’s reactors become CO2 consuming, in addition to the process remaining net CO2 reducing. This is a consequence of thermodynamics; the process efficiency has not changed, just the feedstock. OK you admit the reaction has two thirds of the Carbon in CO becoming CO2. The steel mill has little free hydrogen. The question I posed to Siemens was the web link about CO2 reduction at a steel mill not a futuristic MSW or biomass facility. 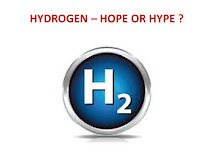 If I have a large source of hydrogen why not purify this and place in a PEM fuel cell vehicle rather than convert to ethanol and then place ethanol in an ICE vehicle??? PEM is 60% efficient, ICE is 20% efficient. Lastly, steel production is the 3rd largest stationary CO2 emitter (after electricity and cement), and LanzaTech’s solution has received a very positive response from this sector. From a human health perspective, the local air quality is so problematic worldwide that it was attributed to 7 million deaths in 2012 (WHO). This is driven by SOx, NOx and particulate emissions. Unfortunately, combustion of waste gases into electricity would exacerbate these emissions. By converting waste gases into ethanol, the LanzaTech process reduces each of SOx, NOx particulate emissions by > 90%. LanzaTech’s customers are keenly aware that the poor air quality locally poses a threat to business in some jurisdictions, and are doubly motivated to make a positive change using our process. OK if we believe GE can install power generators at 35% efficiency (Siemens data) on CO containing off gas at a steel mill, what is greener the power delivered to the owner of an electric scooter or the Ethanol that will be used in an internal combustion engine on a scooter? GE system has an overall efficiency of 35% at the generation station. There is a loss of 10% to transmit to a home and then a loss of 10% to place these electrons in an electric scooter. This is an overall efficiency of 23.85%. The Siemens/LanzaTech ethanol system is 60% efficient (at best per Siemens) at converting the CO to ethanol. Assuming that the supply chain in China can get the ethanol blended into gasoline and then the fuel delivered to a service station near the scooter owner with 98% efficiency. Then assuming the scooter operates at 20% efficiency in converting chemical energy to kwh at the wheel. The resulting CO to wheel kwh efficiency is 11.76%. Therefore it makes absolutely no green sense for the CO to become ethanol if it is going to propel a vehicle (in this case a scooter). This was my point to Siemens. Of course if GE is greenwashing about their turbine technology to fire power stations on CO in the off gas from a steel mill, then Siemens is doing the right thing not to flare the gas. I can’t opine if GE is Greenwashing, but I do believe they can generate electricity from the off gas or else I would not have started the debate. If I owned a dirty steel mill in China I would simply stop producing dirty steel. Of course this is not going to happen so the market does exist to use off gas from a steel mill for some better purpose. I just want Siemens and GE to tell us the truth. I really don’t care who is the winner between Siemens and GE, I just want less CO2 in the air and I don’t want to be greenwashed. I can opine that Jim Lane gave KIOR the best thermochemical project award and he knows zero about thermo or chemistry.